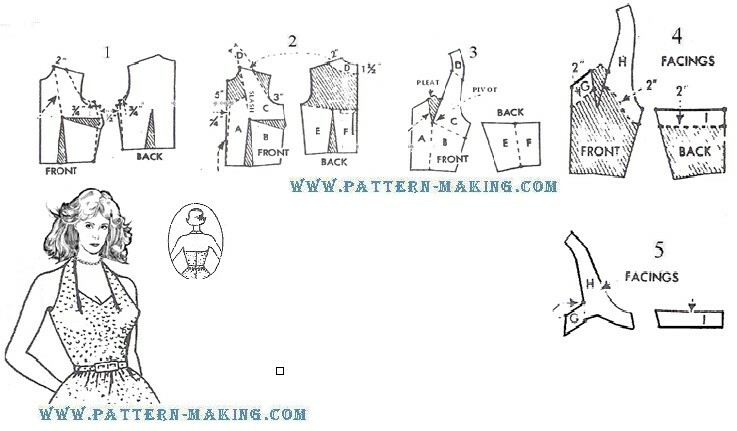 1) Trace front and back to waistline only; then for the sleeveless bodice, reduce 1/2" at upper part of each seam, and raise armhole 3/4" (a sleeveless dress is usually about 2” closer fitting around bust). Draw lines for . . .